Information displayed on this page was obtained from various sources and although every care has been taken to ensure the correctness of the information provided, all information has not been verified and should be viewed in that context. No reference made to other realty companies are made with the intent to act as them or portray any item, listing or document as our property. Statistics and Historical information is left on the page for archival and reference purposes and was deemed correct at the time of publication. 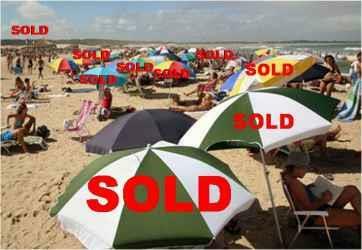 The Real Estate Market in Rocky Point is still increasing with sales and prices going up and inventories shrinking. The absorption rate for listing properties have decreased by another 37% from 2012. This means that there are fewer properties available and the likelihood of selling out all the properties are increasing. Although this would certainly not happen, this fact supports the transition to a sellers’ market. This is good news for sellers and less so for buyers. Buyers will certainly be paying more for properties in Rocky point and with projects like the Cruise port and direct flights from Vegas this trend is set to continue for the foreseeable future. There has been a slowdown in sales during the last quarter, but the sales year to year is still up by 34.3 percent and pending sales are up by 22.4 percent. 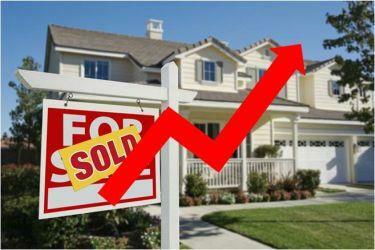 Average sale prices have increased by 25.63 percent. This however does not increase the seller’s property value when listing, but does allow for a sale price closer to the actual listing price. Statistics show that the sold to list ratio has increased from a low of 78 percent earlier in the year to as high as 93 percent during September 2013. All statistics are received from the AMPI Flex MLS system. The National Association of Realtors@ (NAR) in the US has reported that Pending home sales rose to highest level in 2 years. NAR’s pending home sales index, a forward-looking indicator based on contract signings, rose 4.1% to 101.4 in March from an upwardly revised 97.4 in February. It is 12.8% above March 2011 when it was 89.9. The data reflects contracts but not closings. The index is now at the highest level since April 2010 when it reached 111.3. The median list prices of homes for sale nationwide in the US are up 5.56 % over the last year, according to realtor.com. Long Realty CEO Rosey Koberlain has reported that there is a sharp decline in the inventory. In Tucson AZ, they are down to 4 months supply and Phoenix, AZ is down to 2.5 months. Rocky Point is no exception. This is a great time to list your property with us! The top company to be with in Rocky Point, Mexico. Traditionally, most homes have sold during the spring months. In the current volatile housing market, the time of year is not the most reliable predictor of the best time to sell. Homes certainly show better in spring than they do on a dark and dreary winter day. In Rocky Point we have found that the most closings occur during May/June and November/December. The weather and seasons have some effect on home sales. However a bigger influence on the Housing market is the financial recovery and overall economic situation. The Bad Press about Mexico is not helping either. Bad economic news and massive uncertainty lowers consumer confidence. Buyers need to have jobs, but they also need to feel confident in their future to take on a major purchase like a vacation home. The best time to sell is when consumer confidence is on the upswing; interest rates are low; unemployment is decreasing; the economic news is mild; and there are more buyers in your local market niche than there are sellers. A high-demand, low-inventory market gives sellers an edge. Interest rates are currently at historic lows and are expected to stay low for the rest of the year. Capital Economics, an analytics firm, expects the housing crisis to end this year partially due to lenders loosening credit. According to Capital Economics, one indicator of loosening is that banks are now lending 82 percent of loan-to-value (LTV) an 8 point increase from last year. This means qualified buyers need less cash to buy, which should lead to more sales this year, although higher home prices are not expected. These positive indicators combined with a drop in homes for sale at the end of 2011 and a decrease in unemployment may provide an opportunity for sellers in spring 2012, provided their homes are priced right for the market. Regardless of the economic indicators, the best time to sell is when the time is right for you. The Real Estate market has bottomed and is on the UP according to various governing bodies and realtor associations. In California, one of the worst hit areas in the US, the California Association of Realtors C.A.R. has reported that the home prices have increased 9.2% from a year ago. The inventory of available housing has also declined over the same period. In Palma, CA, Mark Prather, A Broker confirmed that buyer interest has shown a 35% increase from a year ago. CoreLogic a real estate data firm has indicated a 0.7% increase month over month in Phoenix, AZ, the first in 4 years.The average increase is 13% and places like Miami FL has surged to 14%. JP Morgan Chase issued 6 % more mortgages and 33% more applications. Wells Fargo issued 54% more mortgages and received 84% more applications. All indications are that the market is on the rebound and Puerto Penasco is no exception. Contact me today to find the lowest priced condo before they are all sold. The rising in Job creation and employment is having a positive effect in the housing market and although the market is still bouncing on the bottom, the lower priced (Bargains) investments are becoming less frequent and more expensive. In Rocky Point, Mexico we have seen an increase in the amount of visitors over the last year and figures indicate increased influxes of both American and Mexican Nationals. Where our market was largely fed by the residents in Arizona the bad economy has not allowed us to expand marketing to Canada, Chili, Europe and Mexico. The interest received from these countries is growing and all indications are that this will increase the future growth of Rocky Point, Mexico astronomically. Canadians have already purchased large quantities of Real Estate in Rocky Point, Mexico and the country of Netherland is one of the biggest investors in Mexico. Rumors in Rocky Point are that the Marriot Hotels Group who owns a piece of beachfront will continue building the hotel (Foundation is complete) as soon as the Dock is completed for the passenger liners. The diving exploration has commenced for the passenger liner dock and surveys are under way with the intent of obtaining the necessary permit for the construction. With the passenger liners arriving in Rocky point, Mexico we will expect an increase of approximately 1 million visitors per year. The rental income of landlords is increasing faster as rents rise with the demand created by foreclosures and people walking away from the debt. Residential Real Estate investors are capitalizing on once in a lifetime pricing opportunities and low interest rates. It is estimated that 6 million people have moved from being owners to being renters, with most of them wanting to own again in the near future. Greg Rand, CEO of Own America, downplays concerns over near term price declines and urges investors to take a long view of the opportunities. Rentals have grown from 4.72 to 5.17 percent year over year from 2010. An estimated 1.4 million new renters will be entering the market this year. Investors have accounted for between 20 and 40 percent of homes sales, according to surveys of Realtors by Campbell/Inside Mortgage Finance and the National Association of Realtors. There is a general prediction that the investor market share will increase next year. The effect of this will be increased prices and greater demand for real estate. Good news for renters in Mexico is that their credit scores in the US does not necessary apply when they want to buy or rent in Rocky Point, Mexico. Previous owners can now own property on the beach, while renting in the US. They might even make money through renting out their vacation property and use it when they need a break from the cares and stresses in the US. 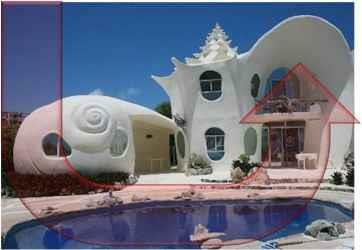 The assets they then own in Rocky Point, Mexico can be held in a trust and will not be attachable by their creditors. This will enable them to plan for a well deserved retirement in a great location while watching their assets increase in value.